One of the biggest challenges in finding the website hosting solution is by determining how server bandwidth is needed by the website. When a plan is compared bandwidth becomes one of the most important tasks. When you buy domain from any domain service provider, You need to clearly discuss this point, though most of the plan comes with unlimited bandwidth, It does not mean that you can run any heavy traffic website is shared plan, you have to upgrade for VPS or cloud server. A storage space can be easily controlled by the deletion of the content as needed, but it case of bandwidth, calculation of it needs much more flexibility and other important calculation. You might also need to turn your customers down or dealing with the penalties by going over the allotted amount. So what is the amount of bandwidth that is required? If you want to invest a little bit of time and calculation in figuring that out, one can balance both the bandwidth as well as the budget. What is meant by Bandwidth by Number? If a new website is being launched calculation of the bandwidth is not an easy task. The best approach would be to keep a careful tracking of the website activity for a period of first few months once it has gone live. By this you will be able to determine the monthly usage and adjust the website according to it. Estimating the average page size of the website that is in kilobytes. If you don't know the calculation you can use the loading time test of few pages and then take the average of it. Now you need to multiply this value by the average monthly number of visitors. Now you need to multiply the last result by the average number of pageviews per visitor. One must always remember that the calculation must include each of the websites which has been hosted on the server. Suppose you are running ten domain on the same account, take the time so as to add up the page sizes, visitors as well as the pageviews across all the ten domain. These simple calculations will give you an idea on how much bandwidth you are using. Majority of the websites over the internet don't use much of the bandwidth, if your website is not using large media files or is not using the streaming, 10 GB for a website per month would be enough bandwidth. 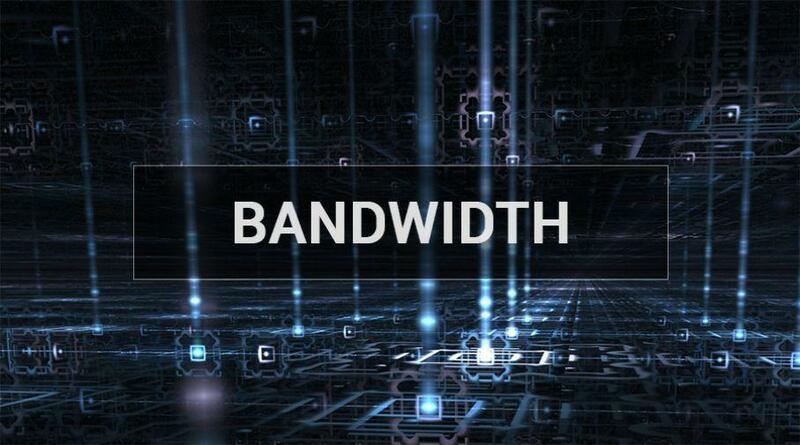 There are several factors which affect the bandwidth of which the website consumes. Estimating the average page size of the website that is in kilobytes. I you dont know the calculation you can use the loading time test of few pages and then take the average of it. Now you need to multiply this value with the average monthly number of visitors. Now you need to multiply the last result with the average number of pageviews per visitor. In many ways, choosing the bandwidth and its requirements is similar to that of a collection of resources and future proofing your website with the current web host. By purchasing extra bandwidth you will give yourself the mental peace of mind for upcoming days.